please email or call the above numbers. SilverThin Bearing Group of Mechatronics, Inc. assumes no responsibility for errors or omissions on this website. 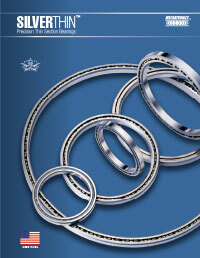 SilverThin Bearing Group reserves the right to change information or specifications without notice. Application and use of this product is the sole responsibility of the user, however our engineering personnel will advise you of guidelines for the proper parameters of use of the product. 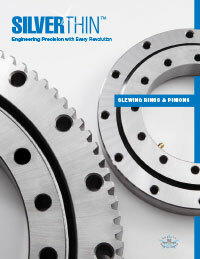 SilverThin Bearing Group warrants the product to be free from defects in materials and workmanship only. Sellers only obligation hereunder is to either repair or replace the defective product or work within 12 months of product delivery to our customers. No other warranties are expressed or implied in fact or by law. SilverThin Bearing Group is not liable for associated costs of work done by the buyer involving our product, or altered product.